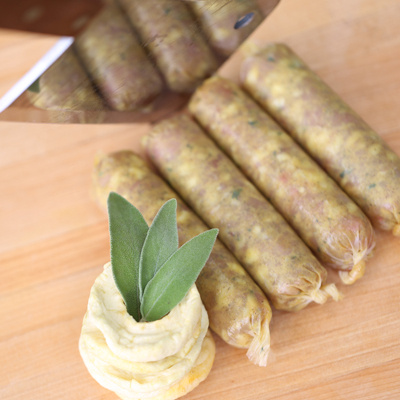 This cider soaked dried apple, sage and nutmeg brat will please your palate and fill your stomach. 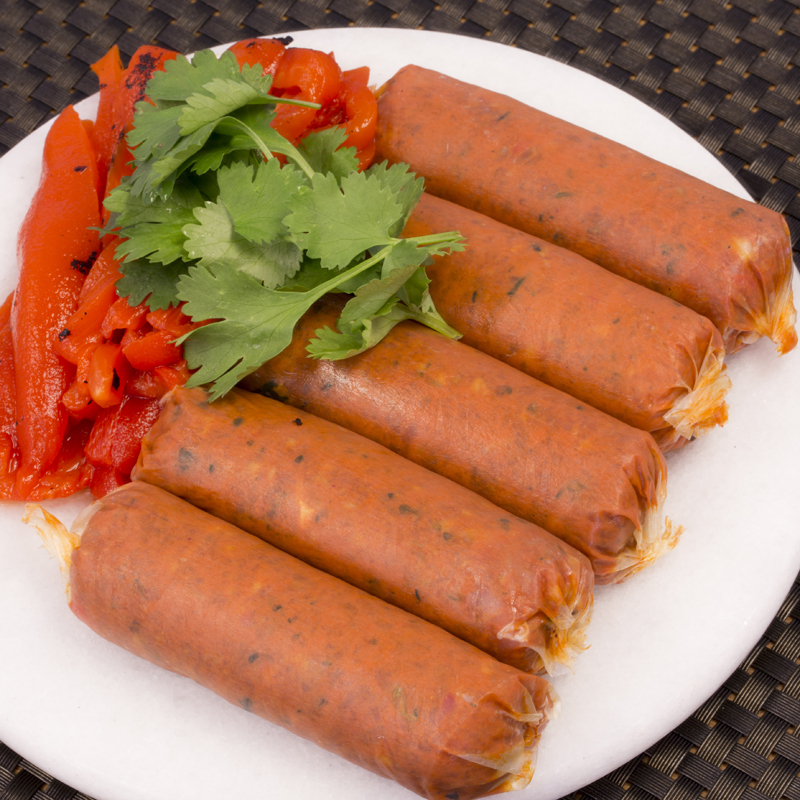 New Mexican inspired with a flare of smoke and chili's meets roasted red peppers and jalapenos to give you that south of border sensation. 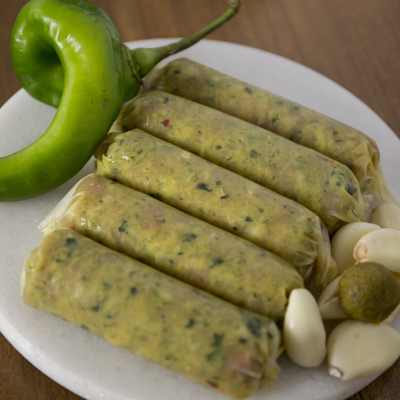 A refreshing Asian-style sausage with green chilies, mint and basil. 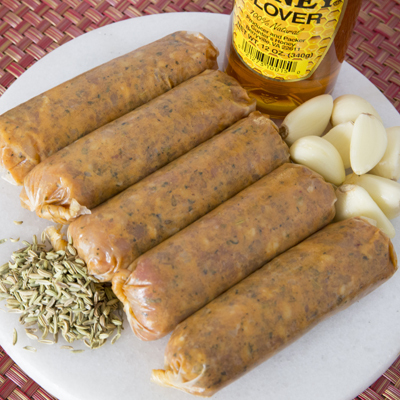 Our Italian Chicken Sausage combines our signature Italian flavor, fennel, garlic and the right touch of honey. 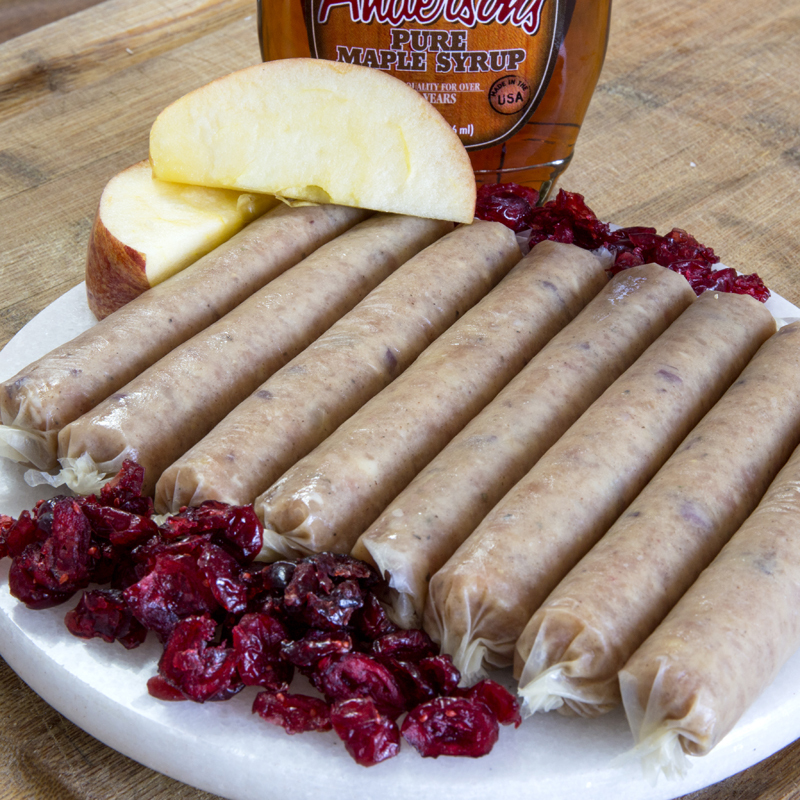 Our Chicken Apple Cranberry sausage combines apple, cranberry and a hint of cinnamon. 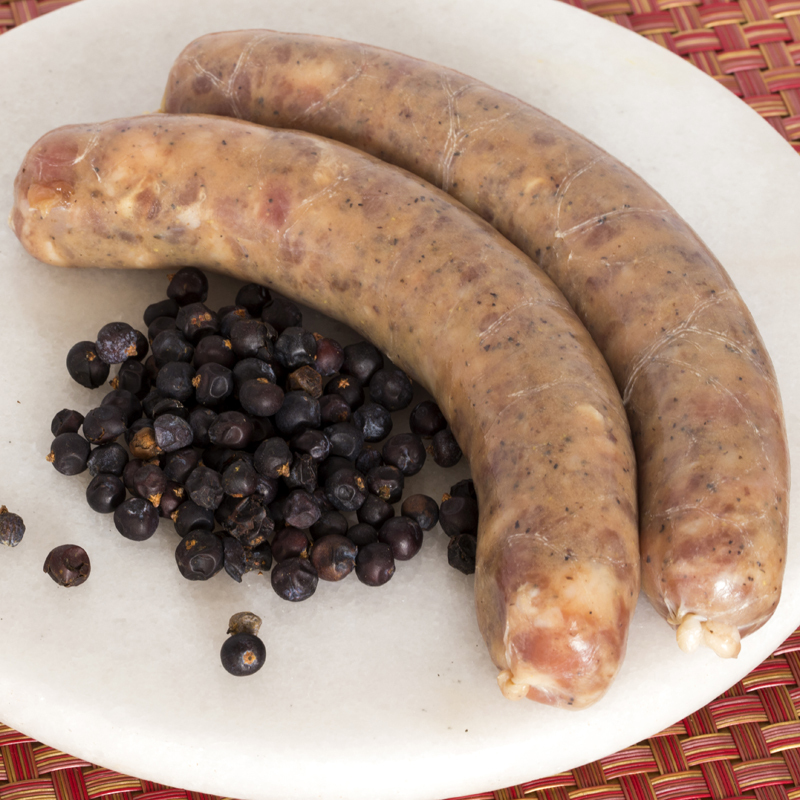 Our duck sausage marries perfectly port wine, juniper berries, duck breast and leg to create this incredibly succulent master piece. 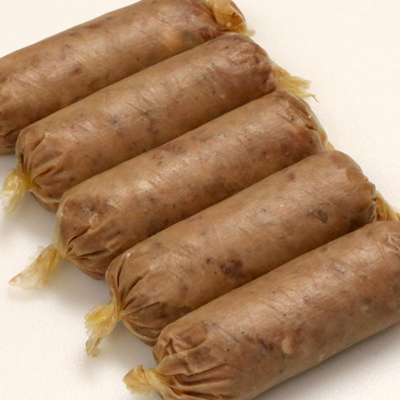 Enjoy that oh so familiar taste of cranberries, sage and turkey all wrapped up in this neat little package of splendor.